We asked Kristy from one of our festival bookshops, New Edition Bookshop about their Book of the Week. 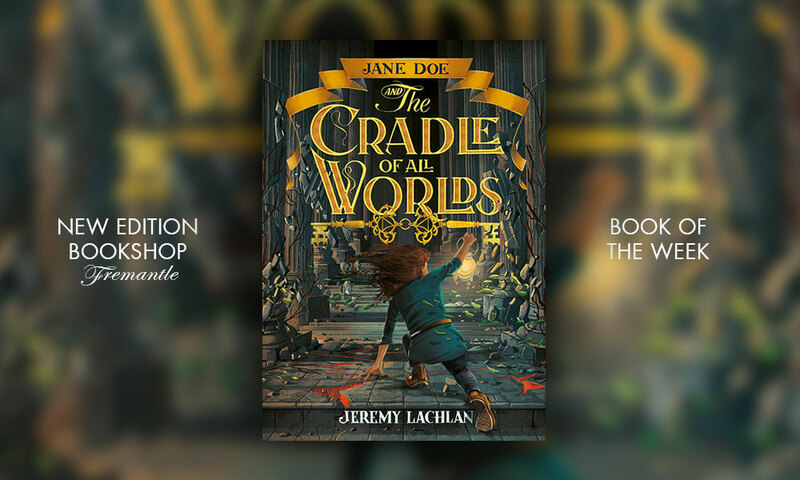 The book is called Jane Doe and the Cradle of All Worlds by Jeremy Lachlan, published by Hardie Grant. “Step inside. Don’t look back. Forward is the only way. His Dark Materials meets Mad Max in this unforgettable blockbuster adventure about the world between worlds. Jeremy will be in store in early August to sign copies.